Bowman gives a nod to their seventh decade with the debut of their 2017 baseball card series, commemorating their history with tributes to their longevity throughout this year’s product. 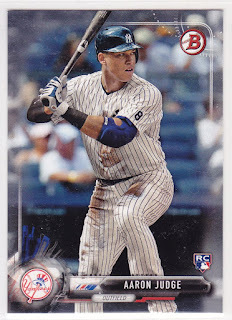 Highlighting special inserts marked with 70th anniversary logos, and reproductions of classic cards, Bowman has created an aura that respects their past while moving their brand forward. 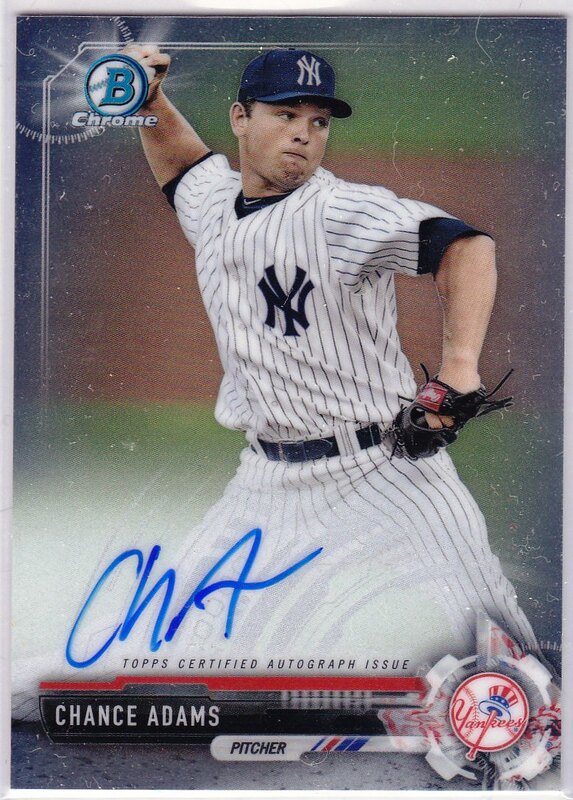 Building excitement as the first 2017 baseball card release that focuses on top farmhands within the MLB pipeline through their Bowman Prospects and Chrome Prospects subsets, 2017 Bowman Baseball has positioned itself as the premier set for collectors looking catch the next rising star. The smooth design of the set (which is enhanced by the Chrome parallels) only serves add to its wide appeal. 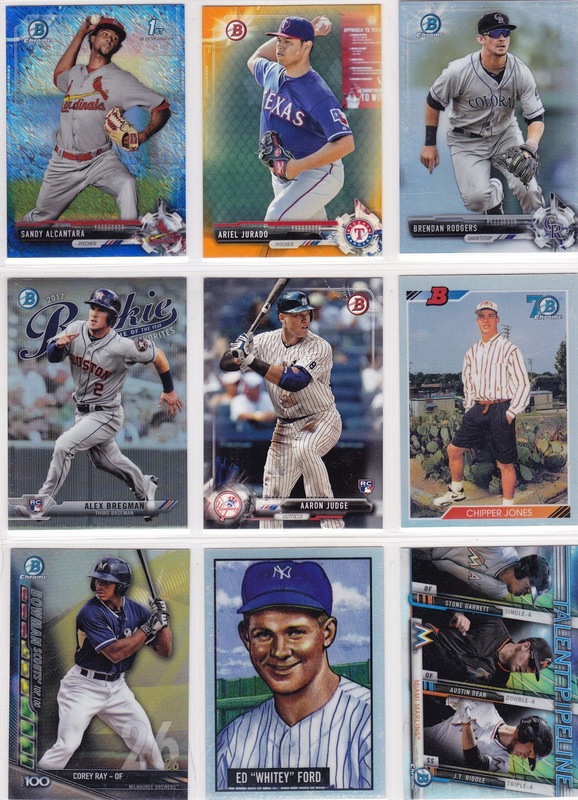 The aforementioned 150-card Bowman Prospects set features the standout minor leaguers across baseball, many of whom are on the cusp on the major leagues this season, including Amed Rosario, Austin Meadows, and Clint Frazier. While the checklist for the set might disappoint some due to seeing the same players included for a second year in a row, Bowman continues to make the future stars of the game its focal point. Not to be ignored is the 100-card base set, which is highlighted by rookie cards of the ever-popular Aaron Judge, Yoan Moncada, and Dansby Swanson. The mix of rookies who made their major league debut last season, coupled with baseball’s established veterans, make the base set a valuable accompany piece to the pre-rookie cards that everyone is chasing. In an effort to connect their 70th anniversary to the current stars, inserts that contain a mesh of active stars and retired legends are designed in the fashion of the 1948, 1951, 1952, and 1992 Bowman sets. Also inserted into packs are buyback cards stamped with the Bowman 70th anniversary logo. Each box promises one autographed card. The box provided for this review yielded a Chance Adams autographed Chrome Prospect card. The wide array of autographs available in 2017 Bowman will make consumers happy, as they have the opportunity to pull signatures from the likes of Judge, Mike Trout, and Bryce Harper, as well as Hall of Famers Greg Maddux, Mike Piazza, and Randy Johnson. As Bowman literally puts their stamp on their seven decades of baseball lineage with the 2017 Bowman set, they are simultaneously positioning themselves to be a player in the hobby for potentially another seven decades. 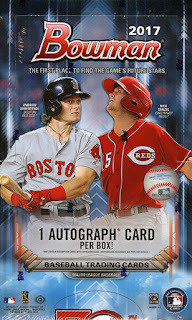 This release sets them up perfectly for this generation to place 2017 Bowman Baseball as a landmark set in their collections.